A photo a day, keeps the grumpiness away. 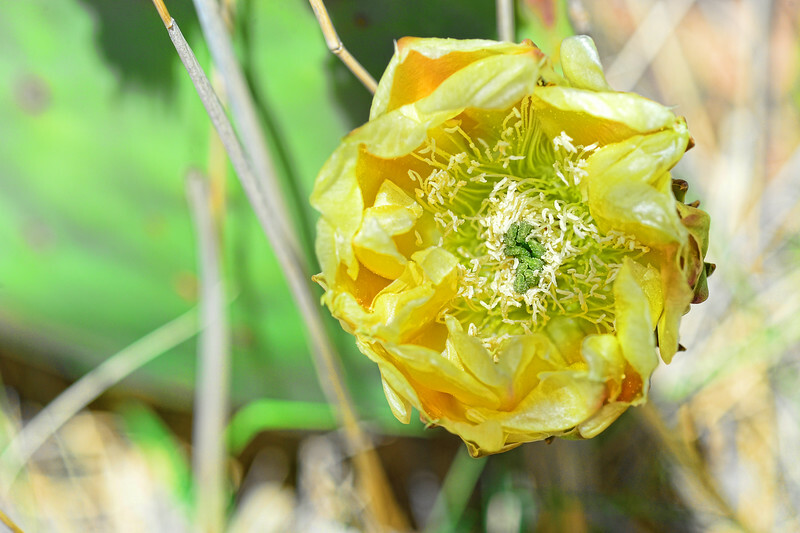 I really love the yellow blooms of the Prickly Pear cacti. In their bud state they have some pink in the leaves as well, and occasionally you'll see some pink in the unfurled leaves. Thank you for your comments and critiques. Gorgeous...cactus flowers are always so stunning!